Evaporative Cooling Repair Service Melbourne. Call @ 1300 955 893 for evaporative ac units repair and installation from licensed electricians. Evaporative cooling system is one of the most healthy and cost effective ways of cooling. In Melbourne, summer heat is uncomfortable and therefore room cooling becomes a necessity. However, evaporative cooling units should be repaired and maintained timely. Tip Top Plumbing is a leading evaporative cooling repair company. Let’s find out how we can help you. How Evaporative Cooling Units Work? Evaporative cooling system operates by pulling natural outdoor air by a fan and making it pass through cooling pads so that the water vaporizes. The cooled air then passes through ducts to rooms and spaces thus making a very comfortable environment with the right level of moisture. You can keep doors and windows open while enjoying a cool ambiance without letting the skin feel dry. Evaporative cooling repair service professionals in Melbourne can provide the right services to keep the cooling unit in best working condition. Maintenance and repair on time can save a lot of money and botherations. Ideally, maintenance is necessary twice a year; once before the summer and once before the winter. The professional electricians at Tip Top Plumbing are skilled and can identify any problems and repair. Evaporative cooling system has a set of machinery parts which require proper maintenance. Unless regular maintenance is done, certain parts may wear and tear leading to larger problems. Various parts may involve lubrication and oiling while other parts may require proper inspection and even replacement. Regular maintenance involves thorough checking of the whole system, cleaning of various parts, replenishing with proper lubrication and even replacement if required. Inspection and servicing of cooling pads, the tubes, the fan, the motor and so on are necessary to keep the machine in best working condition. Instead of letting the machine become dysfunctional, regular repair service can maintain it for years to come. Maintenance makes the machine begins to function like a new installation thus saving money and hassles. Evaporative cooling is a popular means of room cooling in many homes and offices in Melbourne. The natural way of room cooling ensuring that the indoor air remains healthy and odorless makes it a popular choice among the people of Melbourne. The Evaporative Cooling Repair Service Melbourne of Tip Top Plumbing prevent the machine from wear and tear by improving its longevity. As the system works by drawing in natural air from outside, this accumulated a lot of dust and dirt inside the machine. These may hamper the proper functioning of the various parts and compromise upon the air quality. Tip Top Plumbing provides its services for both commercial as well as residential buildings for all brands and models. You can book our services anytime as services are available throughout the year. 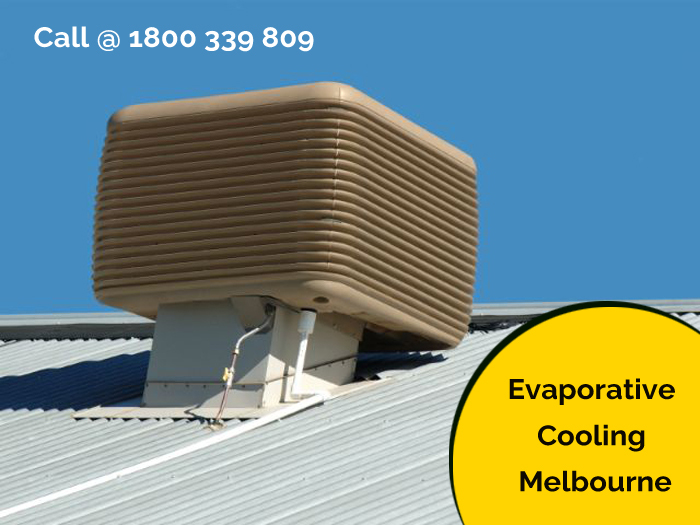 Our Evaporative Cooling Repair Service Melbourne are available throughout the year and even for suburbs in Melbourne. We provide installation, maintenance, and repair work for all kinds of evaporative cooling units. Our professional team is highly experienced to give the best service and guide you regarding the various services available. We provide a warranty for our services and various spare parts are always available with us to provide the best service everytime. Our best advertisement is through the positive feedback our happy customers give and refer us to friends and family. We have done most research as we are in this field of work since many decades. Therefore, we have become natural experts and our services have become most reliable to depend upon. We offer most affordable prices in Melbourne and you can get a quote for the same once you check for yourself. Over the years we have various big projects to our name as we do installation, maintenance and repair for commercial and residential areas. Our services cater to both traditional and contemporary buildings as we have expertise with every kind of installation.